Tag Archive | "Davis Cup"
Mardy Fish and Mark Knowles fought back in the final of the Legg Mason Tennis Classic overcoming Tomas Berdych and Radek Stepanek 4-6,7-6,10-7 to bag their second title as a team. Berdych and Stepanek sprinted to a 3-0 advantage by breaking Knowles and Fish twice in the first set. Then, with a love hold, Stepanek further extended their lead to 4-0. Knowles and Fish managed to break once. Nevertheless, with the insurance break, the Czechs took the set. 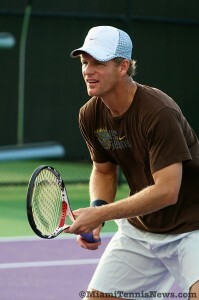 Knowles and Fish have been a tandem since February 2008 while their Czech counterparts usually play doubles only in the Davis Cup. Moreover, for Berdych and Stepanek, this was their first ATP doubles final as a team. Thus, Knowles and Fish called upon their experience to weather the storm especially after Knowles double faulted in the second set to give their opponents a 3-2 edge which they consolidated for 4-2. Later though, with Berdych serving at 40-30, Fish struck a forehand down the line winner to force a deciding point. With Berdych double faulting, the set was squared at 4 all. Ultimately, a tiebreaker was played. Off a sensational forehand return by Fish, Stepanek dumped the forehand volley in the net. Down the road, Fish made another volley winner to give his team a double mini-break for 5-2. Next, on a miscue from the Czechs, Knowles and Fish had three set points. Stepanek and Berdych battled back for 6 all. Subsequently, on an error, Stepanek and Berdych were at 7-6 and championship point. Again, Fish and Knowles produced some remarkable shots to stay afloat and steal the tiebreaker. In the super-tiebreaker, with Berdych’s backhand sailing long, Knowles and Fish had a mini-break for 1-0. On a Fish forehand error, Berdych and Stepanek got back on serve for 3-4. But, with a net court favoring Fish and Knowles, that pair regained a mini-break for 5-3. Again, the Czechs climbed back to make it 7 all. Soon, on a superb return by Fish, Stepanek flubbed the volley giving Fish and Knowles championship at 9-7. The pair won the next point to capture the trophy. Q. At your age, what keeps you still motivated and what has been the key to your success? Knowles: I still enjoy playing and competing . . . It’s a challenge competing against the current players. I’ve seen the game evolve a little bit from when I first started. It still gives me a high to compete at this level and win. Q. Is it more difficult though with having a family? Knowles: I play less now because of a wife and two kids. This year was a little difficult. I was injured at the start of the season and I was out for three months. Mardy and I have agreed to play doubles this year which is an exciting prospect. Things have taken a while to develop because of my injury but things are going well now. In the doubles semifinals in Washington, Tomas Berdych and Radek Stepanek regrouped after dropping a contested first set to edge out the fourth seed Julian Knowle and Andy Ram 5-7,6-2,10-4. After ousting the top seed Daniel Nestor and Nenad Zimonjic, Berdych and Stepanek got a walkover into the semifinals. Subsequent to Ram and Knowle carrying the first set, the team’s failure in serving effectively, allowed the Czechs to dominate the rest of the match. In the super tiebreaker, Berdych and Stepanek took control to acquire their first berth in a doubles final on the ATP tour as a team. Following their triumph, MiamiTennisNews was one of only three sources to sit down with the duos and discuss a variety of topics. 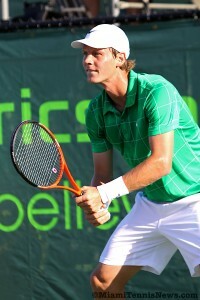 After his singles defeat, Berdych expressed his dissatisfaction with the manner in which he was treated as the top seed. Post sleep and perhaps having reflected, MiamiTennisNews wanted to know his views since yesterday. Berdych was ambivalent about participating next year. Q. The two of you had such tremendous crowd support for your match today. How do you feel after what transpired yesterday? Will today weigh more in terms of making a decision for 2011? Berdych: I was quite sad yesterday. [Today], I just wanted to go back on the court, try to win, play better tennis and enjoy it. It’s not a question of the next day. There’s still a year to go. . . I will think about it and see what to do next year . . .so it’s difficult to say right now. Moreover, Berdych states that thus far his issues had not been taken under advisement nor had the appropriate authorities spoken to him on the subject. Q. What are your thoughts on being in the final? Stepanek: It’s a great result for us as a team . . . We’ve always played together in Davis Cup, played great matches. But, we’ve never been able to do so well at [the ATP level], so we are very please. Especially for me, after being out for five months with [mononucleosis and knee injury] my first tournament, I’m in the final; it’s a great feeling even though it’s doubles. I’m getting on the court, getting some matches, gaining confidence . . .so I’m looking forward to tomorrow’s final. At the Legg Mason Tennis Classic, the first semifinal showcased Marcos Baghdatis, the eighth seed, against Xavier Malisse. Baghdatis defeated Malisse 6-2,7-6 to earn his initial spot in the final of a tournament States side. Later, David Nalbandian booked his maiden berth in a final on U.S. soil by thumping fourth seed Marin Cilic 6-2,6-2. Although this was their first meeting on the ATP tour, Malisse and Baghdatis faced off twice in the finals at the challenger level with Baghdatis prevailing both times. From the difficult hold that Baghdatis had his primary game, Malisse gave the impression that he was going to reverse the former results. However, with Malisse unable to make the volley off a dipping forehand, Baghdatis gained double break point. As Malisse’s forehand went out of bounds, Baghdatis nudged ahead 2-1. By surprising Baghdatis with a sliced backhand down the line and forcing an error, Malisse attained break point. But, with Malisse misjudging the second serve return, Baghdatis eventually consolidated for 3-1. By inciting a few unforced errors from Malisse, Baghdatis captured a second break and later shut down the set with a love game. The first two games of the second set, Baghdatis had two break points; Malisse handled the pressure to stay in front 2-1. Following a couple of easy holds, Malisse connected on a forehand down the line winner for break point. But, by sending a backhand outside the field of play, Malisse wasted that opportunity. As Baghdatis shifted his movement in an attempt to track down the ball, he twisted his left ankle slightly. With Baghdatis on the ground, play was interrupted and the trainer dispatched. Genuinely concerned for his opponent, Malisse quickly crossed the net and brought Baghdatis a bag of ice to apply. After the ankle was attended to, play resumed and Baghdatis held for 4 all. Subsequently, Malisse rebounded from love 30 to keep his nose in front 5-4. Later, following a loose forehand by Malisse, Baghdatis connected on a forehand crosscourt pass for break point. With another mistake by Malisse, Baghdatis claimed a 6-5 lead. Yet, serving for the match, Baghdatis was bitten by the error bug. Therefore, the set moved on to a tiebreaker. At that stage, Baghdatis justified his 11-3 tiebreaker record. In baiting Malisse into two miscues, the Cypriot raced to a 5-1 advantage. 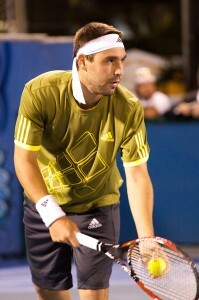 Then, on his fourth match point, Baghdatis succeeded to punctuate the match. In reference to his noble act, Malisse cited in the post match briefing: “I know he has been injured for a while . . .you don’t want [the ankle to] be more inflamed. . . You don’t want to win a match in that way”. Q. You got the equalizer in the second set, what went wrong in the tiebreaker? Malisse: At 3-1, I hit a good forehand but it clipped the tape. He served well the whole tiebreaker . . . I kept [going] for my shots . . At 6-4, it’s a little different because he feels he has to win the point because it’s on his serve . . . I made a couple of mistakes, but if you are going to hit your shot, you are going to miss a couple. Too bad, it’s in a tiebreaker. Q. Despite the result today, it’s been a good week for you. What are the positives you take away? Malisse: I’ve played good matches, so I can’t really complain . . . I gave it my all and beat a lot of good players in the top 20. I lost today, but I fought hard . . . You can’t win everything . . . But the positive is that my ranking [will go] up to almost 50 . . . The pressure is off now, I can play freely. My confidence is really high . . I’m a bit tired, but we will see how Toronto goes after some days of rest. In assessing his performance, Baghdatis surmised that the key to his victory was “playing smart” and coming up with “the perfect game” plan. Essentially, Baghdatis said: “I played the right point at the right time . . .not opening the court on his forehand and not giving him any angles”. On the ankle, Baghdatis’ comment was “I twisted it a bit . . . I feel ok now and hope that it won’t be bad tomorrow”. In the second semifinal, Nalbadian clashed with Cilic. The last time these two tangoed, it was in the quarterfinals of the Davis Cup in 2006 and Nalbandian was the victor. Needless to say, with 21 year old Cilic now ranked 13th, Nalbadian was facing a different player. In the first game, Cilic took advantage of multiple errors by Nalbadian and broke. However, Nalbandian also pressured the Croatian into miscues to promptly level the set at 1 all. Nalbandian then held at love for 2-1. After getting to double break point with a backhand down the line winner, Cilic failed to capitalize on Nalbandian’s second serves. Thus, the Argentine inched ahead 3-2. With Cilic netting a forehand, Nalbandian earned his third break point of the sixth game. Nalbandian converted when Cilic made his third forehand error in that game. In his three previous matches, Cilic had only been broken twice, dismissing 12 of 14 break points. After consolidating with a love game for 5-2, Nalbandian bagged another break to polish the first set in just 36 minutes. With the quarterfinal spots at stake, after nearly five hours, the stormy weather cleared to allow play at the Legg Mason Tennis Classic. 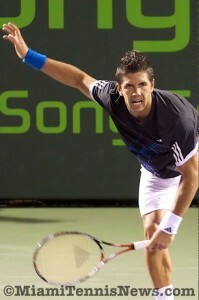 While Tomas Berdych, the number one seed, and Fernando Verdasco, the third seed, battled their way into the next round. For the Americans, the tournament was a disaster. Andy Roddick, the three time champion and second seed, 2007 finalist John Isner as well as 2010 Atlanta champion Mardy Fish were all swept away. Isner, the fifth seed, squared off against Xavier Malisse. In March at their initial meeting in Houston, Malisse prevailed in three tiebreaker sets. In the beginning stages of the first set, Malisse had a few break points. However, Isner promptly brushed those aside. Later at 4 all, Malisse obtained the break which permitted him to take the set. But, in the second set, Malisse double faulted on break point to give Isner a 2-1 edge. As usual, this was the minute window the American required to push the match to a third set. In the third game, Isner had two break point chances, yet converted none. For his part, with Isner serving at 4 all, Malisse failed to capitalized on love 40. Thus, the tiebreaker was called upon. At 5 all, Isner miscalculated an overhead which resulted in the ball landing on his side of the court. With a mini-break/match point in hand, Malisse connected on a good serve. With Isner botching the return, Malisse punched his ticket into the subsequent round with a 6-4,3-6,7-6 win. Q. Although you are getting on in years, you are playing pretty good tennis. What keeps you motivated? Malisse: I had two years of injuries, when you are sidelined and everyone else is playing it hurts. Sometimes you say that you want a couple of weeks off, when it’s [not on your own terms], it really gets to you . . . Since I had two easy years, I feel I am healthy now . . . The road back has been tough playing challenger last year after being in nice tournaments in nice places. . . But it feels so much more satisfying now . . . Before, I was just playing, not really enjoying it. Q. Do the two of you plan to do the same at the U.S. Open? Malisse: I don’t think so. We have not talked about it. It’s harder considering it’s five sets . . . We had a good time and laughed a lot in [London], that’s the most important thing. The first set went along swimmingly for Malisse’s quarterfinal opponent, Berdych against Andrey Golubev. After securing the break in the third game, Berdych cruised on serve. Nevertheless, serving to send the second set into a tiebreaker, Berdych dropped serve at love. In the decisive set, Berdych broke for 3-2. Though, serving for the match and ahead 30-0, Berdych surrendered four straight points to enable Golubev back in. Still, Berdych managed to break once more and hold for a 6-3,5-7,7-5 victory. Q. Why was it so difficult to close Golubev out this time around? Berdych: He’s really improved [in the last couple of weeks]. He won his first [title] in Hamburg which is a big tournament . . . Even before, he’s had a couple of good results . . . Hardcourt is going to be the best surface for him. . . The conditions, the fast courts suit his game . . . 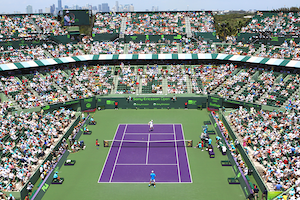 The Sony Ericsson Open was a pivotal point in Berdych’s career. Since, he’s had extraordinary results at the French Open and Wimbledon. MiamiTennisNews questioned whether Berdych felt the same way. Q. In making the final in South Florida, did that give you the mental boost to propel you to additional success? Berdych: Yes. . . But not only the tournament in Miami. It started the Davis Cup week right before Indian Wells. . . I won a couple of matches . . . Then at Indian Wells, I made the quarters which showed me even if I am . . . not playing well, I can [have] good results which gave me a lot of confidence. . . Coming to Miami which is really my favorite tournament . . . The key match against Roger [Federer] turning it around match point down . . . [getting] to the final . . . I am happy I can keep the form, keep the consistency and bring more and more good results. In the quarterfinals of the Australian Open, defending champion and world number two, Rafael Nadal, prematurely set down his racket due to the sudden onset of a knee injury. For several seasons, the 23 year old has been afflicted with one form of physical ailment or another. After an extraordinary victory in 2008, last June, Nadal was unable to defend his title at Wimbledon due to tendonitis. As an individual who has exhibited exemplary conduct both on and off the court, there’s a noticeable void when a player of Nadal’s caliber is absent. Here are a few reasons why the game is better with Nadal. With Andy Murray dominating from the very first stroke and only three games from a straight sets victory, there was little suspense as to the outcome of the quarterfinals. Still, with the Spaniard, there is often a sliver of hope for a comeback. One of Nadal’s most admirable attribute is his inherent belief, regardless of the score, that he is not vanquished until the last ball is struck. In Nadal’s psyche, there’s invariably that one shot which sparks the turning point in the match. It’s hard to bet against a man who last year in Australia after a thrilling five hour and 20 minute, five set semifinal defeated Roger Federer after another five setter with less than 24 hour turnaround. If one were to browse the dictionary for the definition of driven or relentless, it would not be shocking to discover a photograph of Nadal. Whether in practice or in match situation, Nadal gives 1000% effort, a reflection of his perfectionist personality. There’s an ATP commercial which describes tennis players as “gladiators” on the pitch; perhaps no person epitomizes that description better than Nadal. Each time he steps on the court it seems a duel to the death. While Nadal’s all-encompassing dedication is laudable, the intense manner he approaches the game has taken a toll on his body. Bouts of tendonitis in both knees have hampered Nadal’s movement. With the nature of his game, it’s inevitable that these structures will be under recurrent stress. Therefore, even for an athlete as talented as Nadal, it becomes impossible to compensate. One option could be for him to go on a lengthy sabbatical since resting is crucial for healing. The down side would be that his ranking would suffer. Sometimes, one wishes Nadal could trade in his knees for new ones every so many miles as he does his tennis shoes. The injuries are unfortunate because over the years Nadal has grown as a player. He has incorporated different shots which have helped him succeed on surfaces other than clay. In some respects, Nadal’s resume is more well-rounded and accomplished than Federer’s. Nadal’s first major was at age 18 while Federer’s came at age 21.The Spaniard has an Olympic gold medal in singles and a couple of Davis Cup titles. 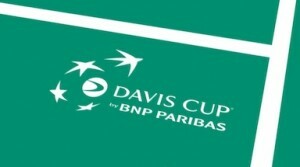 On the contrary, there’s been a sporadic commitment by the Swiss to the Davis Cup. In an era dominated by Federer, Nadal’s most significant contribution is proving that there are many ways to triumph. These two players have contrasting styles as well as differences in other areas. Nadal is a lefty, Federer a righty. The former plays two handed on the backhand wing while the latter has a one handed stroke. Federer moves as a quasi ballet dancer on court, Nadal more like a football player. But, there is common ground in that they are both passionate about their sport.